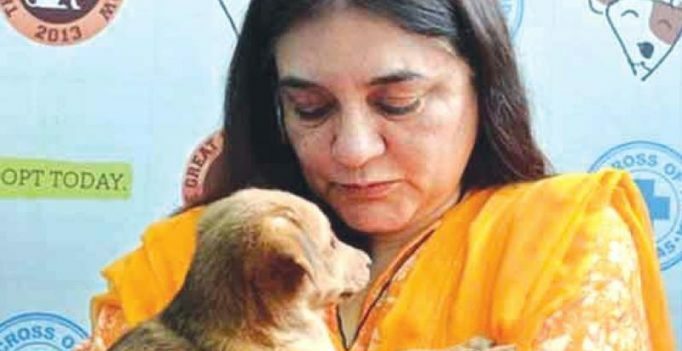 Kochi: Keralite net users on Monday criticised Union Women and Child Development Minister Maneka Gandhi and spammed her Facebook page for her unkind remarks on the stray dog incident. Hackers claiming to be Keralites also defaced the ‘People for Animals’ website linked to Maneka. Maneka had said that the ill-fated woman must have been carrying meat with her while going to the beach. The statement irked the users and they even posted abusive comments. “Can you rehabilitate Keralites from here so that the stray dogs can live safe in #DogsOwnCountry?” (sic) Bijin Nainan posted. “A 65-year-old poor woman was killed by stray dog and such an irresponsible statement from your side…if you care about stray dogs more than women what empowerment you are talking about…shame,” Varghese Mathew said. Kerala Cyber Warriors, a Kerala-based hacker group claimed responsibility for defacing the website of ‘People for Animals.’ The website was repaired later.